Get out your checkbook. According to the agriculture.com website, the average grain farmer has to invest in about $715k of agricultural equipment – and that’s not even new. The equipment might be anywhere from five to 10 years old. Farming is expensive, and one of the biggest costs has always been the equipment necessary to plant, maintain, and harvest crops. It’s for this reason that farmers watching closely as technology helps to bring relatively inexpensive drones into service for them. A 500-acre farm presents a farmer with nearly 21.8 million square feet of possible cropland to survey. This used to be a job for airplanes equipped with expensive sensors. Today, farmers can use drones to make daily scans to observe crop health. Precise GPS mapping allows them to get an accurate understanding of the property and can help them decide where to plant crops to maximize land, water, and fertilizer. Drone Crop Dusters are Real! Fertilizer and pesticide are both expensive to purchase and must be used sparingly – not something easy to accomplish for an airplane flying more than 100mph. Compared to traditional airplane crop dusters, drones are able to deposit precise amounts of whatever’s necessary to keep crops healthy. The drones can be operated remotely, and some can even be operated autonomously. Best yet, the cost to farmers is a fraction of the price to hire the services of a crop duster. After all, crop dusting is a difficult job. Water conservation has become an even bigger issue for some parts of the country, and chances are that if it doesn’t fall from the sky as rain for free, farmers have to pay for irrigation. How much does it cost? The University of Nebraska-Lincoln recently created an online irrigation cost calculator. If you have the right information, you can see for yourself. Or, you can let a drone help. Drones can provide the ability to observe the process and be confident about water levels. Drones equipped with thermal cameras can measure temperature, and software analyzes the values to determine soil moisture values. Other drones with standard cameras help to keep watch over irrigation equipment movement to prevent water pooling. What are those cows up to? Now it’s possible to do quick and frequent checks on livestock with remote controlled drones. Farmers have a lot invested in their livestock, and drones are helping them keep better tabs on herds to detect injuries and birthing animals. 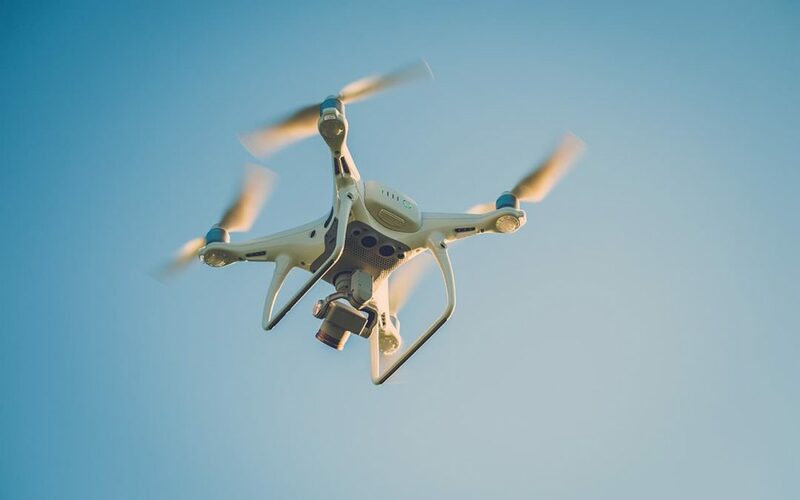 While they are revolutionizing some parts of the agricultural industry, drones won’t be replacing most of the heavy equipment necessary to run a farm any time soon. And those monsters still need secure storage and protection. Miracle Truss® offers steel building kits for agricultural use that are rigorous and virtually maintenance free. Our clear span truss design allows for wide and tall interiors – the perfect thing for farming equipment. Visit our growing gallery of agricultural buildings submitted by customers.